Since the end of the Second World War and the subsequent success of constitutional judicial review, one particular model of constitutional rights has had remarkable success, first in Europe and now globally. This global model of constitutional rights is characterized by an extremely broad approach to the scope of rights (sometimes referred to as 'rights inflation'), the acceptance of horizontal effect of rights, positive obligations, and increasingly also socio-economic rights, and the use of the doctrines of balancing and proportionality to determine the permissible limitations of rights. Drawing on analyses of a broad range of cases from the UK, the European Court of Human Rights, Germany, Canada, the US, and South Africa, this book provides the first substantive moral, reconstructive theory of the global model. It shows that it is based on a coherent conception of constitutional rights which connects to attractive accounts of judicial review, democracy and the separation of powers. 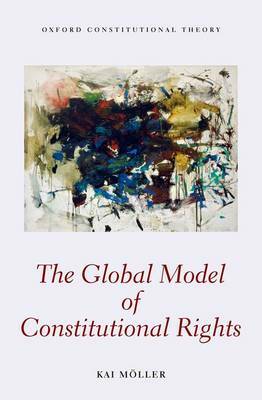 The first part of the book develops a theory of the scope of rights under the global model. It defends the idea of a general right to personal autonomy: a right to everything which, according to the agent's self-conception, is in his or her interest. The function of this right is to acknowledge that every act by a public authority which places a burden on a person's autonomy requires justification. The second part of the book proposes a theory of the structure of this justification which offers original and useful accounts of the important doctrines of balancing and proportionality.